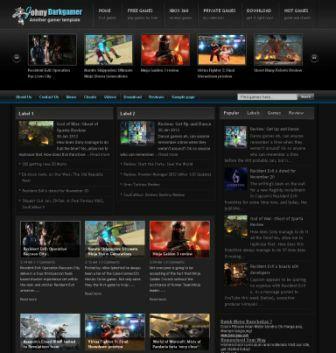 This template was modified from previous version, names New Johny Darkgamer is a free magazine style blogger template especially for games content with automatic recent per category. It's a 4 column blogger template with one right sidebar, magazine style blogger template, automatic slider carousel, ads ready, pagination for blogger ready, dropdown menu, clean design template, and more. This template designed for games content blog with daily updates. If you want the slider work automatically, try to use new version of this temlpate by visiting here. Thank you for reading this article. You have questions, suggestions or comments, please share below.